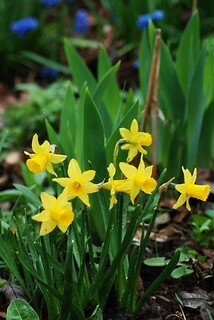 Finally, after a long and onerous winter March has brought spring to the northern hemisphere. 20th March to be precise. It's often surprising how freezing winter can turn into beautiful, sunny weather just within a few days. After the first spring walk in the woodlands around Toruń — our hometown — we have found that the nature has undoubtedly woken up and is just thriving with flowers such as snowdrops and croci with the accompaniment of birds' chirp. But not only the flora and fauna is rousing. Moderate temperature and much more sunlight causes our hearts to pump faster, energizing and motivating us to do more and better. A few days ago we improved our email delivery system. Since then we had to solve a few issues that caused unexpected behaviour, but the system seems to be bulletproof now. It allowes us to reliably send emails to our users, including those using Hotmail.com addresses.